Too many to speak of! 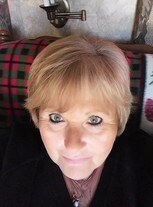 Cynthia Devens Orendorff updated profile. View. Cynthia Devens Orendorff has a birthday today. Cynthia Devens Orendorff added a comment on Profile. Cynthia Devens Orendorff posted a message. Sooo glad you decided to sign up. Will be great seeing you again. So glad y'all will be at the reunion. Been a loooooong time!!! Hope you come you the reunion. Its been a long, LONG time!!! 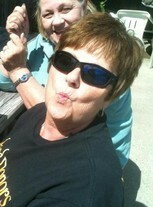 Cynthia Devens Orendorff changed profile picture. Cynthia Devens Orendorff added a photo to profile gallery. Cynthia Devens Orendorff added a comment on Sharon Springer Thetford's Profile. Irish wolfhound.....his name is Monty and he belongs to my sister, Mags! Sweetest fellow. Alan Brinkmeyer has one, too! Cynthia Devens Orendorff has left an In Memory comment for Cy Baird. Actually, Cy passed today, 12-23-2014! RIP, Cy! You will be missed!